OLD PARKED CARS. 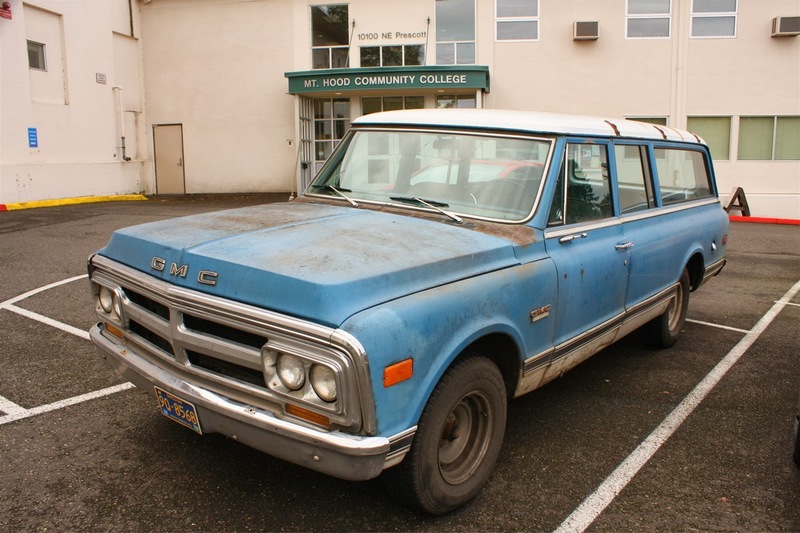 : 1971 GMC 1500 Super Custom Suburban. Count Them Doors! 1971 GMC 1500 Super Custom Suburban. Count Them Doors! Why would they do this when the Travelall has always been 4dr? It's not like they saved very many resources since the metal is still there, it just hasn't been made into a door. Super custom? I think this is stock, at least I've seen others with this configuration. Yes it's stock with 3dr. for some unknown reason. 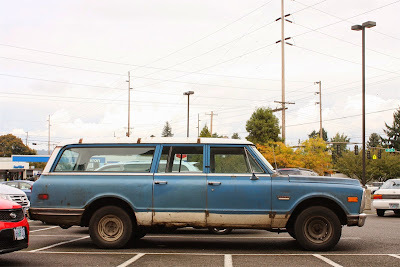 I saw a build thread a while back wherein an old Burban owner added a 4th door to his ride to make it more functional as his primary family hauler. The end result and the work that went into it is impressive. There is expense in designing and tooling and installing and warehousing a 4th door, plus all the parts involved. But, any cost would become part of the final delivery price. I can't believe this type of truck was in a super heated sales competition with other brands and needed a price edge. They did put the 3rd door on the curb side so rear passenger's exiting would be away from traffic. Maybe safety as a livery vehicle was the idea? Did the panel delivery lack the 3rd door? I don't recall. They never sold in large volume. If price was the issue they could reuse the front doors to hold down design and production costs. GM used the same doors on the '61 and '62 B platform Chevrolet's. They just changed the trim. Now that is one rugged old workhorse. Would love to drive that. It makes sense actually. You are letting your passengers, front and back, out at curbside and not in the street. Minivans have the big door on the curbside too. 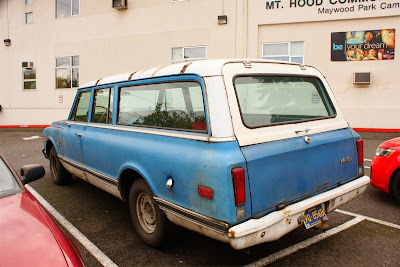 I remember The Orcutt (CA) school district using two Chevy Suburbans as school buses in the 1970's #14 was a 1964 model 2 door model and #19 was a 1968 3 door model. These were very "short buses".